These days, social media is as large a part of everyday life as it’s ever been, and with countless options to share photos and videos as keepsakes of memorable events, there’s no wondering why. 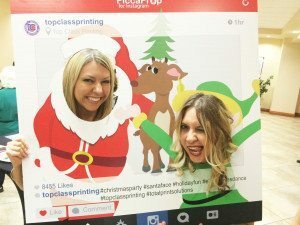 You can creatively combine the charm of a photo booth setting with the social nature of photo sharing websites with Top Class Printing’s custom Instagram frames. These simple yet brilliantly interactive photo props allow you to give your event guests a personalized way to remember the fun they had with a photo keepsake. Whether the event you’re planning a is a wedding, a corporate or graduation party or simply a spontaneous celebration, you want to find a way to make the experience an interactive one for your guests. Capturing memories through photography is an endearing pastime for us because it has remained relatively unadulterated since the dawn of camera technology. The quality has changed over the years, and the way we can use photos has as well, but the simplicity of preserving a memory with a photograph is a timeless pleasure. We aim to innovate in the space that this sentiment allows us: with unique photo props like a custom Instagram frames or one of our other photo booth frames, we can create the fondness people hold for photographs in an interactive, live setting for your event. 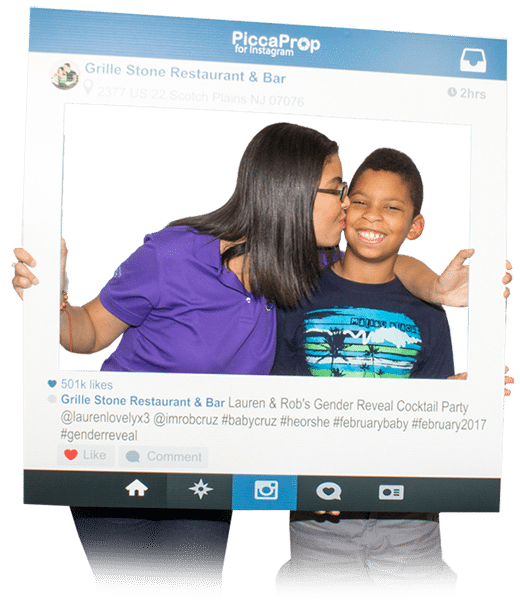 Of course, photo booths are not new but with our inventive photo booth props, we aim to give you the personalized tools to create a guest experience unlike any other. We want to make your event the success that it should be, and we’re handing you the tools to make it a reality. Our custom Instagram frames are fully customizable, with space for the name of your event and options to create memorable captions below the “photo”. You can add the date, time and company or event logo as well as toggling the likes and follower count to fit your specific event goals. With several sizes available, we allow you to make the decisions on specifications that work the best for your unique event, and then deliver the result on a sturdy, glare-resistant vinyl that promises to withstand wear-and-tear, and we print the photos on high quality 4mm corrogated plastic coroplast. This creative addition to any event has potential to be even more. While it is fantastic for anything from a baby shower to a red carpet event, consider the limitless possibilities posed by these inventive custom Instagram frames. A smaller gathering like a holiday party, or even a house party is made more memorable with the addition of a personalized prop that allows guests to mark the occasion in their memories. 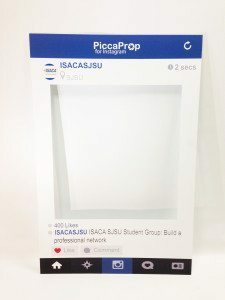 You could even order a photo booth prop to have in an office setting, as a way to keep an exciting and memorable company culture active in the workplace. At Top Class Printing, we want to assist you in creating lasting memories for your guests in a creative way. Contact us today to learn more about the full range of ways you can innovate your event with the addition of one of our custom frames.